The other day I decided to look at my horoscope to see what it says. Now, I used to look at my horoscope on a daily basis when there was the facebook app which sent it to you every morning but then that stopped as little 13 year old me grew up and I haven't done it since. 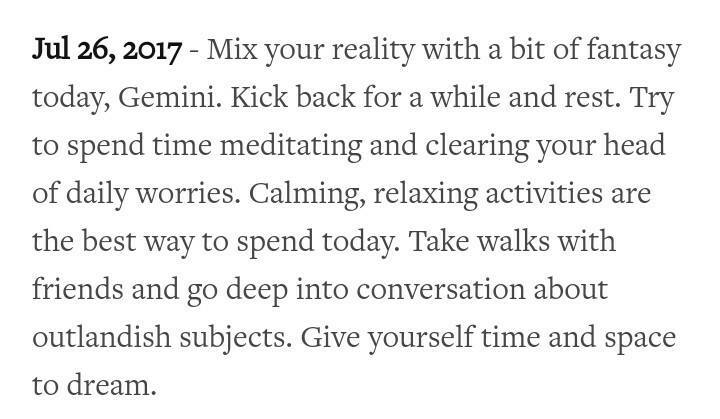 At the weekend my horoscope was pretty damn accurate which I found very strange and so I thought I'd look at it again yesterday (Wednesday) and it was also very accurate. 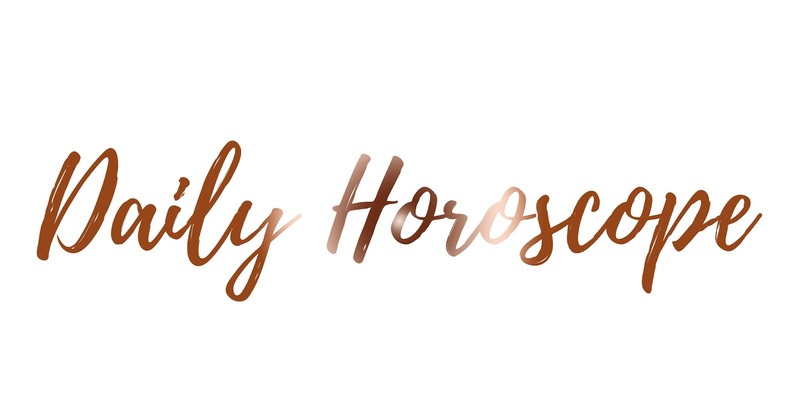 Due to this, I thought it would be great to share a post on horoscopes and my thoughts on my horoscope for the day. This may be a popular post or it might not be but it's putting my thoughts down onto something and that's what matters. Yesterday I have to say I needed to rest; I needed to be calm and relaxed and I tried my best at work to make all of the children feel calm and relaxed too. Deep breaths was something I was very enthusiastic about for children who felt very emotional and tired. So looking at my horoscope after finishing work was a very weird feeling; how are they always correct? 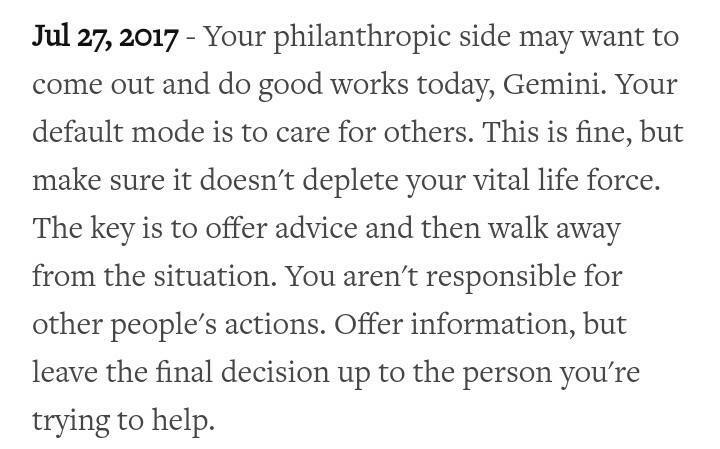 This is generally something I live by anyway; caring for others, offering them advice but leaving decisions up to them because it's their life at the end of the day. I'm not entirely sure what today is going to bring me or whether it's going to be very much like yesterday but we shall see; I'll even update this post once I'm back from work with a little added bit at the bottom so we can all find out! Have you checked your horoscope recently? Is it accurate for you too?